Different methods to determine the height of the convective boundary layer from lidar measurements are described and compared. 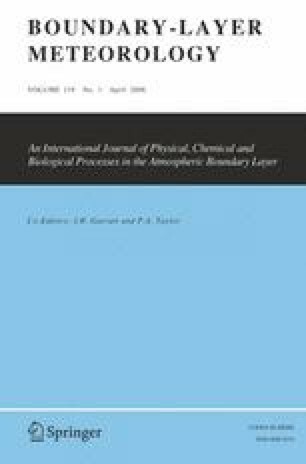 The differences in either aerosol backscatter or in humidity between the boundary layer and the free troposphere are used, and either the variance or the gradient profile of the parameter under study is evaluated. On average the different methods are in very good agreement. Temporal resolution of the gradient methods is very high, on the order of seconds, but often there is an ambiguity in the choice of the “relevant” minimum in the gradient that corresponds to the boundary-layer height. This is avoided by combining the variance and the gradient methods, using the result of the variance analysis as an indicator for the region where the minimum of the gradient is sought. The combined method is useful for automated determination of the boundary-layer height at least under convective conditions. Aerosol backscatter is found to be as good an indicator for boundary-layer air as humidity, so a relatively simple backscatter lidar is sufficient for determination of the boundary-layer height.